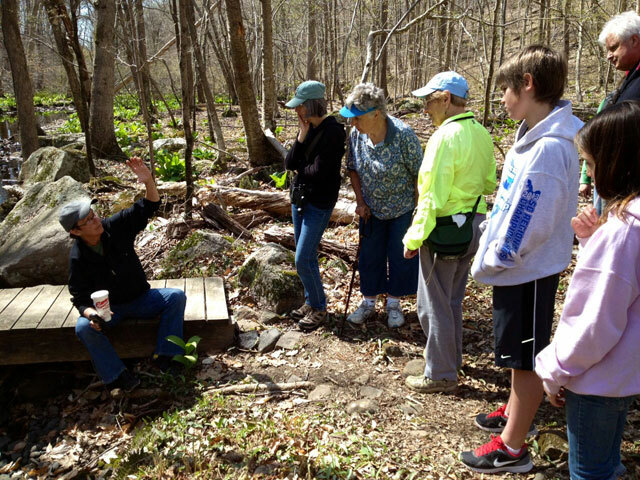 The Branford Land Trust presents two popular spring programs, a WILDFLOWER WALK on the Van Wie Preserve on April 26, and two BIRD WALKS on May 10 and May 11. These Nature Explorer Events are free and open to the public. On Saturday, April 26, Sam Saulys, an avid and expert botanist, will lead a walk on the Van Wie Preserve to see and identify wildflowers in the spring when they are most abundant. Sam is a resident of Branford and a member of the Conservation/Environmental Commission for the Town of Branford. Meet at the trailhead at 87 Red Hill Rd. (Rain date is Sunday, April 27 at 10 am.). Chris Woerner is leading two bird walks along the Stony Creek Trolley trail and into the BLT’s Vedder property on Saturday, May 10 and Sunday, May 11. Chris will help us identify the birds by sight and by call. It should be a fun and exciting walk for both youngsters and the adults! Meet at 8:30 am in Stony Creek at the far end of West Point Rd., which is across from the Willoughby Wallace Library. The Land Trust’s Nature Explorer programs hosts a variety of programs throughout the year. Most take place out-of-doors to familiarize people with some of the trails maintained by the Land Trust and the Town of Branford, and to learn about various aspects of nature found there, such as birds, trees, and other plants and animals. Other topics have included how to identify animal tracks, read a compass and make sun dials on the summer solstice. For more information, CONTACT MEG KILGORE AT 203-415-1571, follow our Facebook page, or sign up to receive regular email notices of upcoming events.